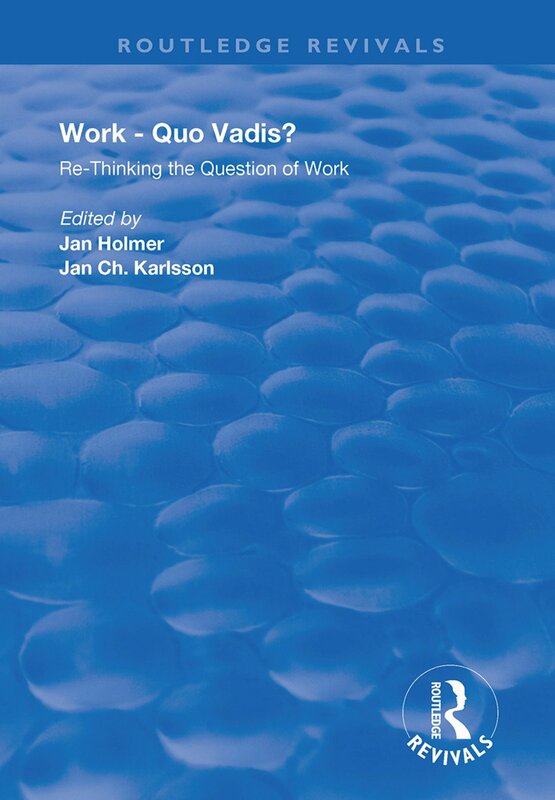 First published in 1997, this volume is the result of the third Karlstad symposium which aimed to bring together and reflect current empirical trends and theoretical discussions on the questions: what exactly is happening to work and, consequentially, what should happen to work? This book disseminates contributions from seventeen scientists from eleven countries to a wider audience. It should prove stimulating to postgraduates, researchers, policy-makers and others to encourage further work on conditions both at work and on the labour market. The work ethic under challenge? New technology and new organisation — or — just new rhetoric?